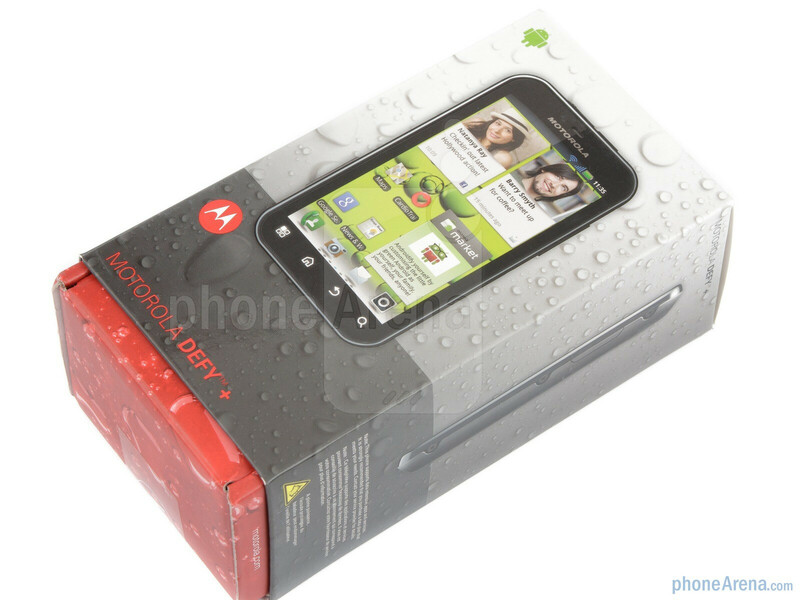 Introduced at the end of last year, the original Motorola DEFY was a fun and compact Android model from the Schaumburg-based company. It managed to stand out from the crowd by being both rugged and well feature-packed. 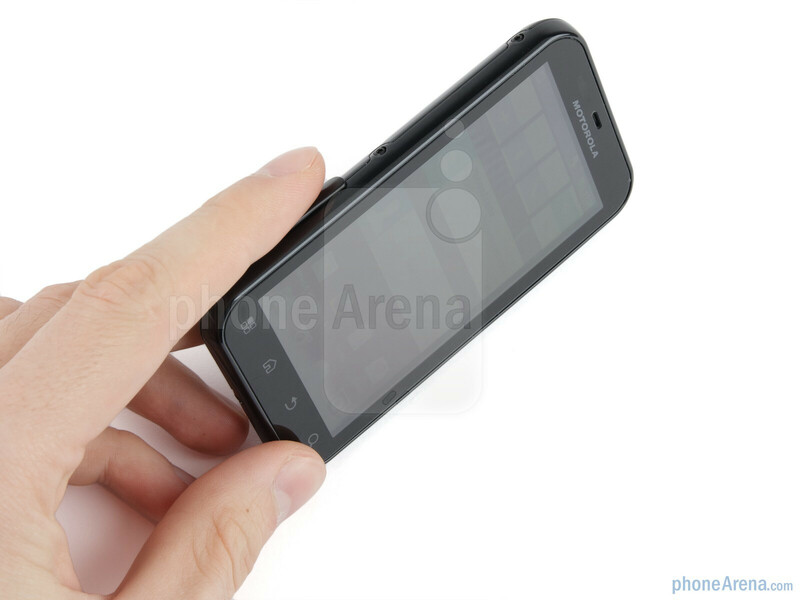 Among its key features, one could find the reinforced Gorilla Glass, dust- and water-proof body, as well as a sizable 3.7-inch touchscreen and the Android 2.2 OS. 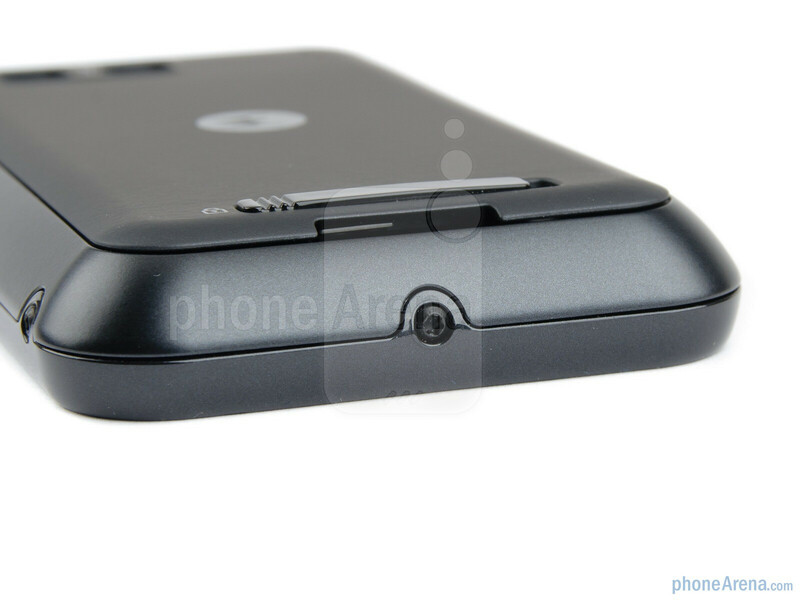 This year, instead of a redesigned handset, Motorola has chosen to treat us with an upgraded variant of the same device. 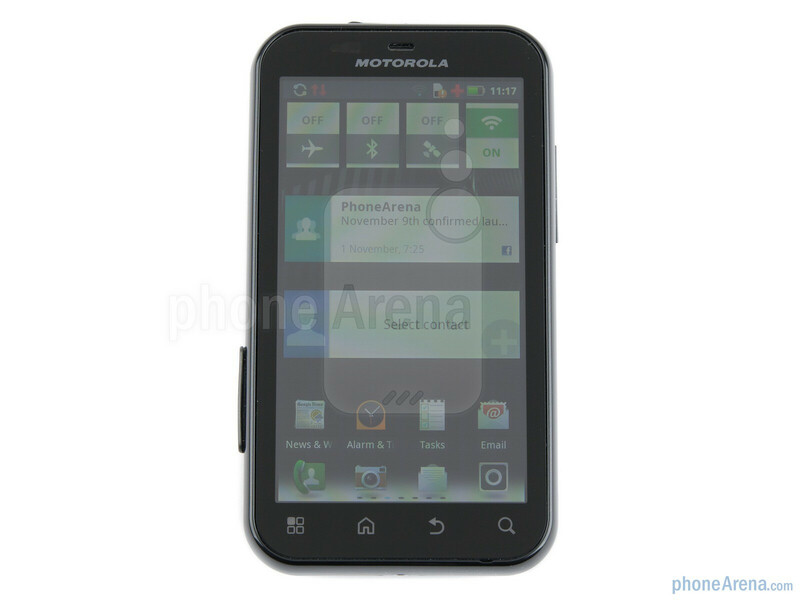 Meet the Motorola DEFY+! It's pretty much the same phone, but equipped with a slightly better processor – the TI OMAP 3620, clocked at 1GHz, replacing the OMAP 3610 800MHz one found in the original, and an updated OS, in this case – Gingerbread. These improvements sure seem minor, but still, the handset appears to be up-to-date, compared to other mid-range offerings right now. Let's take a closer look and see how it performs! What we really adore in this handset is how it combines a nicely-sized 3.7” display with a body that can be considered very compact by today's standards. Indeed, when you compare the Motorola DEFY+ with some other 3.7” phones, there's a staggering difference in terms of overall dimensions. The DEFY+ isn't very thin, but it fits nicely in the hand and is very comfortable to operate. You can compare the Motorola DEFY+ with many other phones using our Size Visualization Tool. 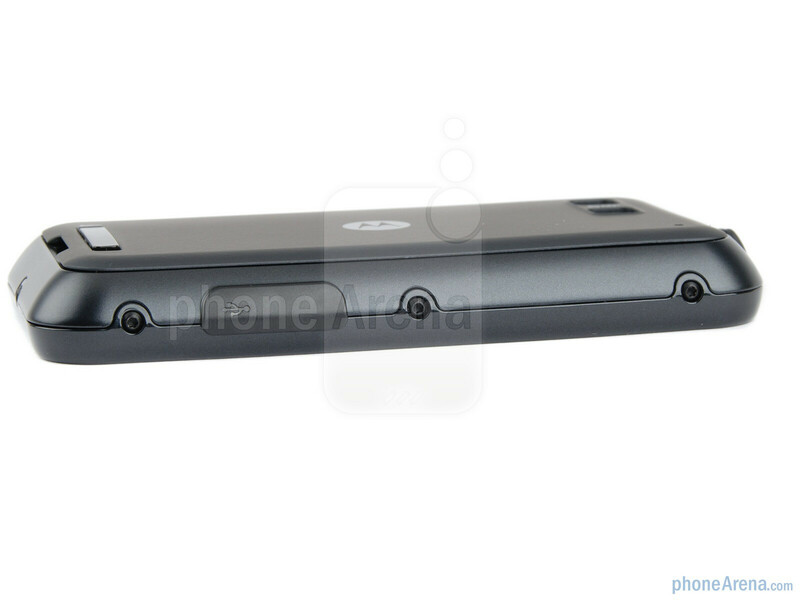 The device is made of plastic and has a soft-touch finish to the back side. The DEFY+ doesn't hide the fact that it's a tough phone. 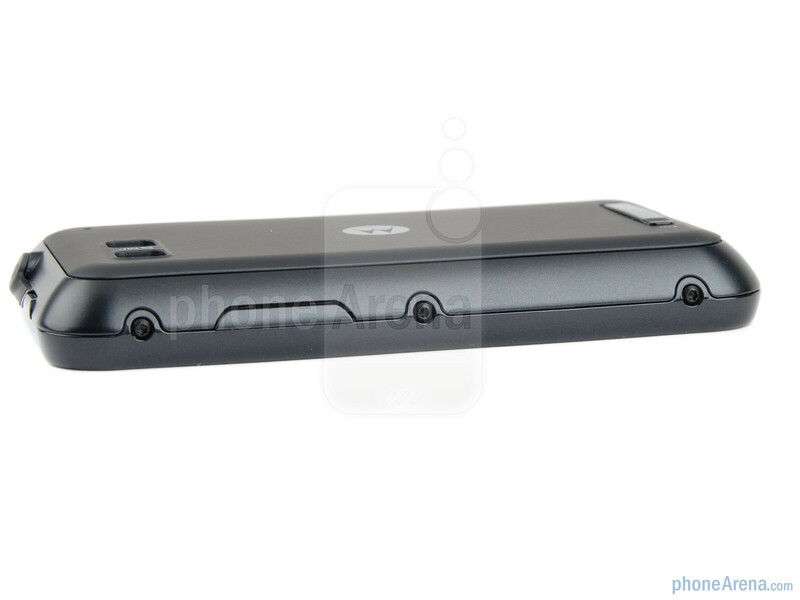 Its styling has “rugged” written all over it – from the tight covers of the 3.5mm jack and microUSB port, to the special lock of the back cover. 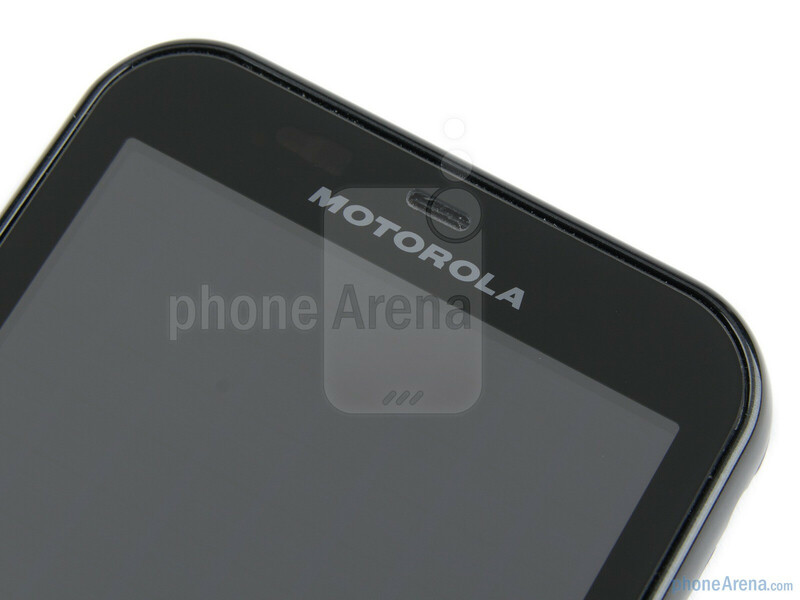 The 3.7-inch display of the Motorola DEFY+ comes with a resolution of 480x854 pixels and delivers very good image quality. The resolution is just enough to allow fine details and text to appear crisp, while colors look pretty well-balanced. Unfortunately, visibility under direct sunlight isn't good. 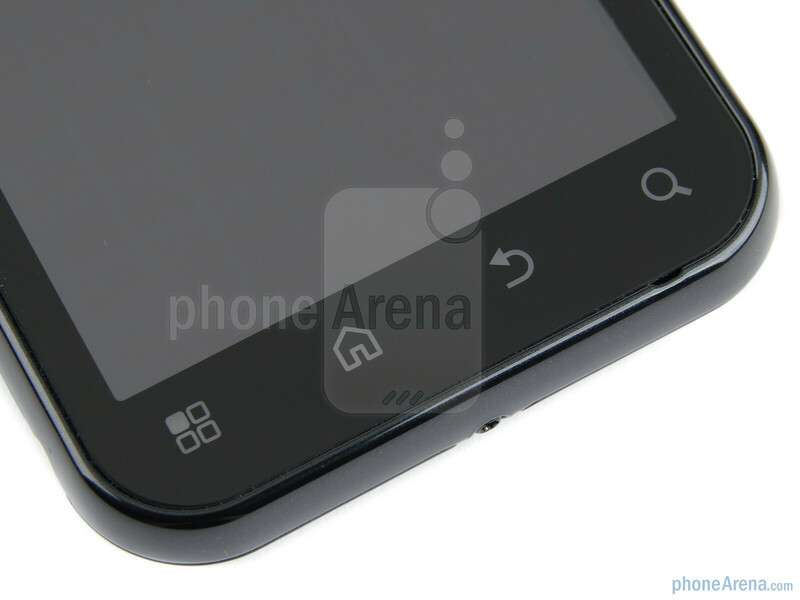 Below the display you have the traditional four capacitive buttons for navigation in Android Gingerbread. These are quite close to the edge of the display, but we didn't experience many accidental presses. Motorola has done well here. 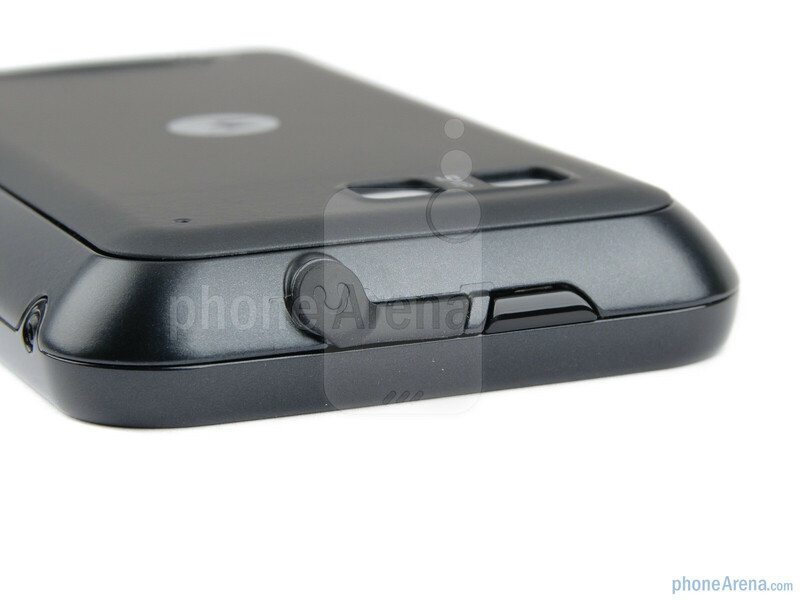 Both the volume rocker and the power key do an audible “click” when pressed, and they are relatively easy to use, but also a bit wobbly, which adds just a bit of a toy-like feel to the Motorola DEFY+. 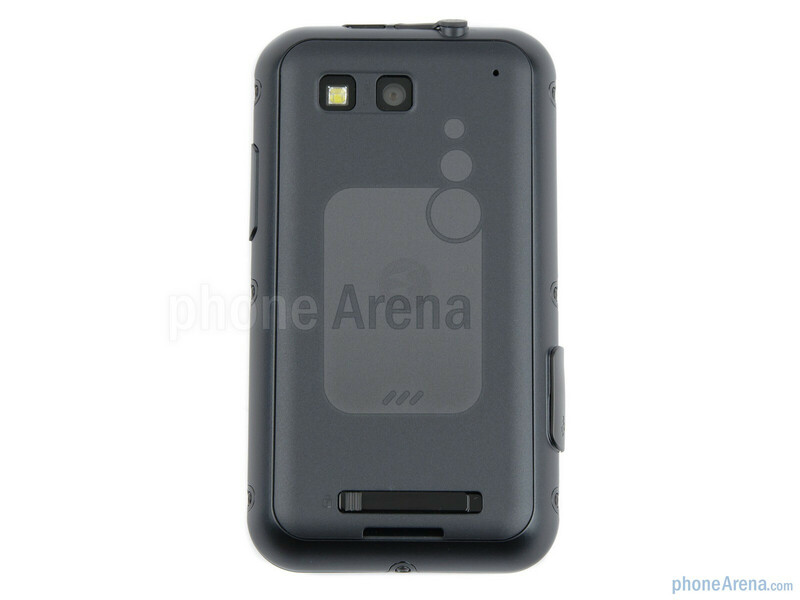 On the back, we find a 5MP camera, complemented by an LED flash. 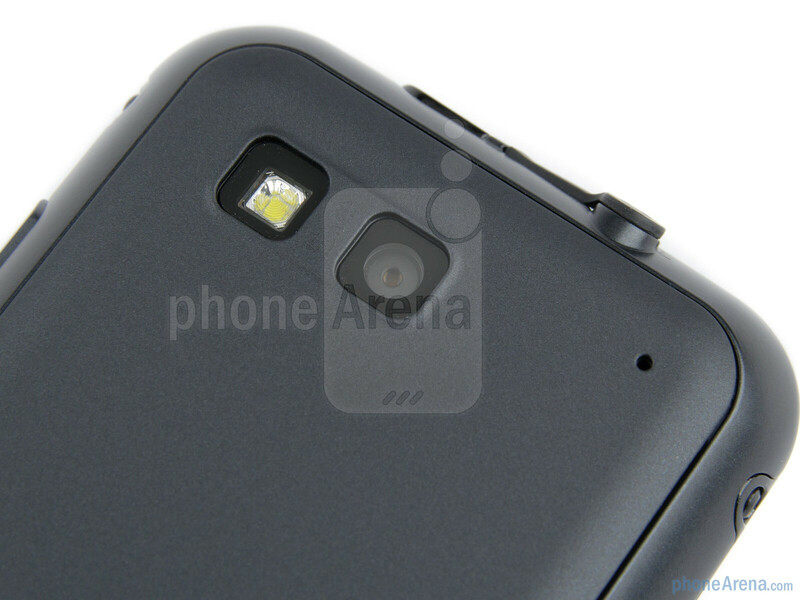 We'll tell you more about the camera performance in the respective section. Being an IP 67-certified device, the Motorola DEFY+ is fully protected against dust and other particles, but it can also survive a submersion under water up to 1 meter for up to 30 minutes. 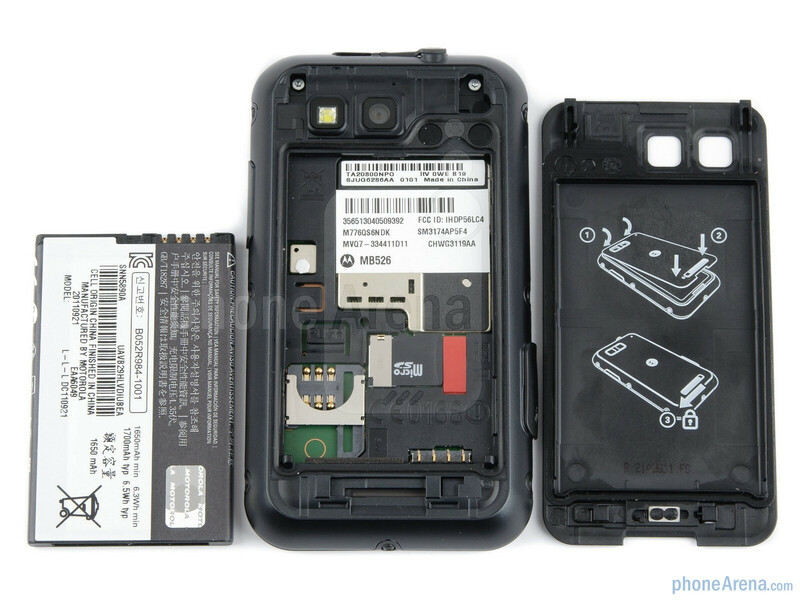 If you happen to be somewhat careless when handling your cell phone, the DEFY+ may be the perfect solution for you. 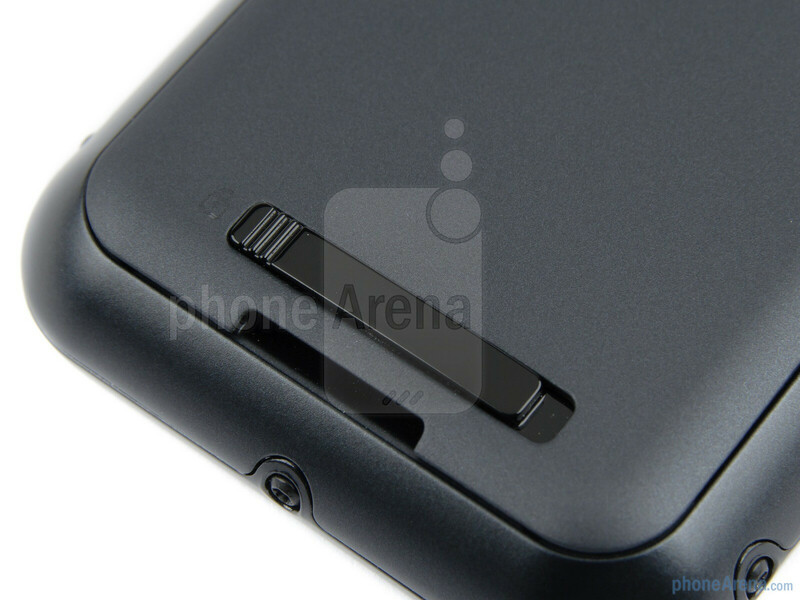 With the Atrix 2 only at 99 on contract, it's the obvious device to go with. But with the Defy, you can use it as a weapon to fend off your attacker. Try that with the Atrix 2. I have my iPod Touch 4G encased with an Otterbox Reflex and I am willing to surrender my iPod Touch if need be. Finally! Finally someone recognizes how much better redesigned Blur is! All I've heard up until now is "new Blur is okay, but we're still not happy about it." No one mentions the added functionality or benefits or straight out bashes it. Thank you for acknowledging that the new Blur is actually pretty good! Sniggly, I'm with you all the way, new blur isn't called blur anymore for a reason, I have the ATRIX 2 and I love the new motor experience, its much better than touchwiz. Disappointed it only does vga video recording. With the upgraded cpu it should be able to handle 720p easily enough.